Mary Coleridge was an English poet and novelist who, during her lifetime, was better known for her novels. Her reputation as a fine poet was only established after her early death at the beginning of the 20th century. It seems that she kept her poetry very much in the background of her life and only published poems using the pseudonym Anodos. Apparently the reason for her reticence was that she did not wish to bring disgrace on her famous family name by being identified as the author of what she, presumably, considered to be inferior work. She was born Mary Elizabeth Coleridge on the 23rd September 1861 and grew up in a London home that was often visited by leading musicians and writers of the late 19th century. Mary’s parents were both talented musicians and her father, Arthur Duke Coleridge collaborated with the singer Jenny Lind to form the London Bach Choir in 1875. She was a descendent of famous writers Samuel Taylor Coleridge and Sara Coleridge so, with strong artistic influences in the home, it was inevitable that Mary would develop similar talents of her own. She wrote her first poem at the age of thirteen. She never married and lived her whole life in her parents’ house which was a hub of artistic activity. Regular visitors included such famous names as Alfred, Lord Tennyson, Fanny Kemble, John Ruskin and Robert Browning. Her education was enhanced with regular trips abroad and her travels around Europe enabled her to pick up languages easily. Besides French, Italian and German she studied the much more difficult languages of Greek, Latin and Hebrew. 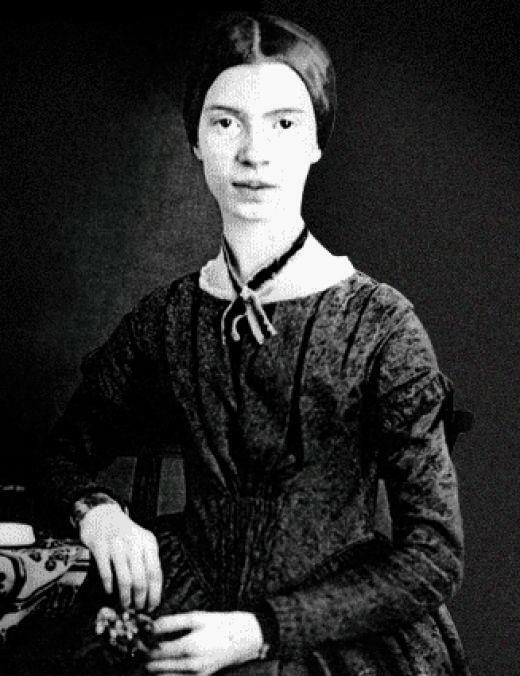 By the age of 20 Mary was writing essays for publication in a variety of periodicals. 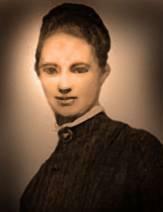 She seemed to have a talent for short stories although, over a period of 13 years, she wrote five novels. She was a naturally shy and whimsical young woman who saw joy in life and the world around her. She wanted to help those in less fortunate circumstances than herself and, to this end, taught English to young women at the Working Women’s College. 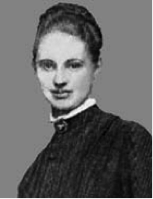 She was so popular in this task that her students, saddened by her early death only a few years later, disbanded the class rather than continue with a new teacher. …this being possibly inherited from her admiration of the writer William Hazlitt. It was ironic that her novels sold really well during her lifetime. Who can say whether her poetry may have gained a better audience had she just had the courage to publish under her real name? Several of her poems were later set to music by such well known composers as Hubert Parry and Charles Villiers Stanford. 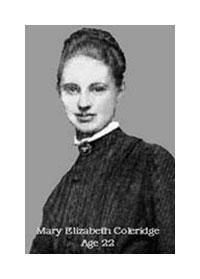 Mary Elizabeth Coleridge died on the 25th August 1907 having contracted complications from a bout of appendicitis. Ironically she was on holiday in the Yorkshire spa town of Harrogate at the time, a place where people of that era visited to cure various ills.